Learning this allows kids to navigate test anxiety, homework hurdles, sibling rivalry, friendship struggles, game day jitters, and all the other moments of life when we feel strong emotions and need to make thoughtful decisions. 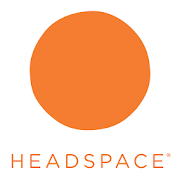 Headspace is an app for kids, adolescents and adults that teaches meditation in short, easy, straight-forward ways. The app includes reminders, rewards, sleep support and ways to connect with friends for motivation. It’s compatible with the Apple Health app and Apple Watch. We’ve encouraged parents to test-drive the free trial with kids as a way of learning the practices together, and reminding kids this is a valuable skills set for kids and grown ups alike.